The Kia Niro EV Concept is just that: a not-quite-production version of what an all-electric version of the Niro Hybrid would look like. It’s a logical move, too, given Kia’s technical partner, Hyundai, already markets the Ioniq Electric on the same platform. But Kia says this Niro EV Concept showcases significant tech advances and a range of 238 miles — which would put it right up against the Chevrolet Bolt EV and better than a standard Tesla Model 3’s range. Consider the Niro EV Kia’s signal to get into the plug-in mainstream when the toned down production version goes on sale in the second half of 2018. The company says it’s equipped with a 150kW electric motor, along with a 64kWh battery pack. Notably, this allows a range that’s at least 100 miles greater than what’s currently offered on the smaller Hyundai Ioniq Electric and the still-on-sale Kia Soul EV. To differentiate it from the standard Niro hybrid and Niro plug-in hybrid, the EV Concept replaces the standard grille with an interactive display and slim LED lights. As part of a new Active Pedestrian Warning System, the Niro EV Concept can visually and audibly alert pedestrians or cyclists if the vehicle detects they might come in its path. Kia says it will start Level 4 autonomous vehicle testing in 2021. 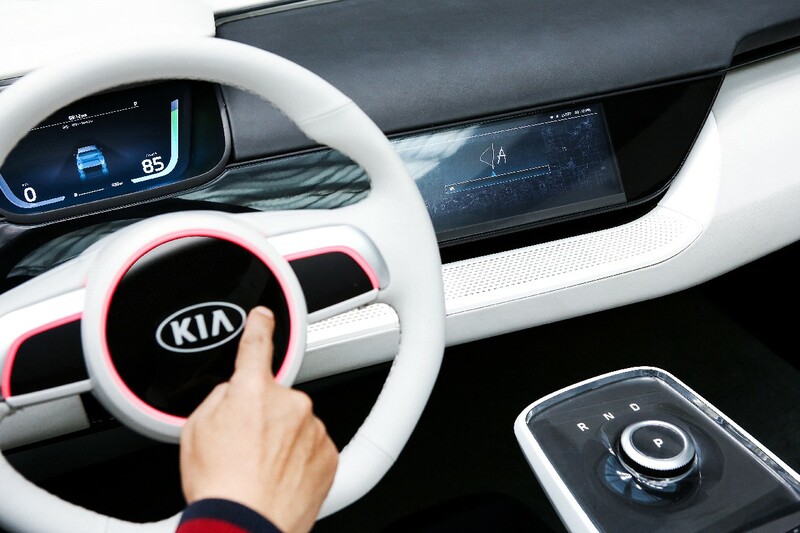 Inside, Kia has equipped the concept with a new interface that allows audio and heating controls to be adjusted by touch or gesturing at the screen. Additionally, the driver can swipe parts of the steering wheel to make adjustments to the same settings. In a separate CES display, Kia is also showing a vehicle interface that incorporates 5G connectivity. The automaker says all of its cars will be connected by 2030. 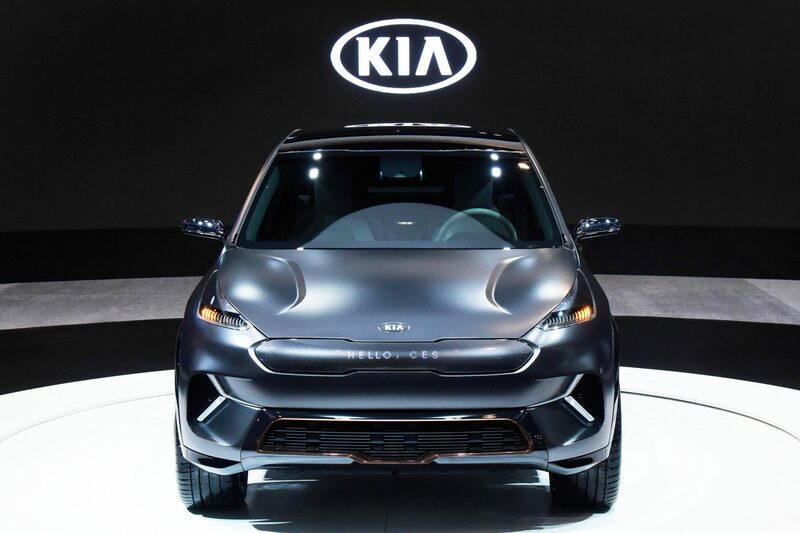 On Monday in Las Vegas, Kia said it plans to launch 16 electrified vehicles globally by 2025, including its first fuel cell electric vehicle in 2020 (Hyundai’s Nexo fuel cell was also just shown at CES). 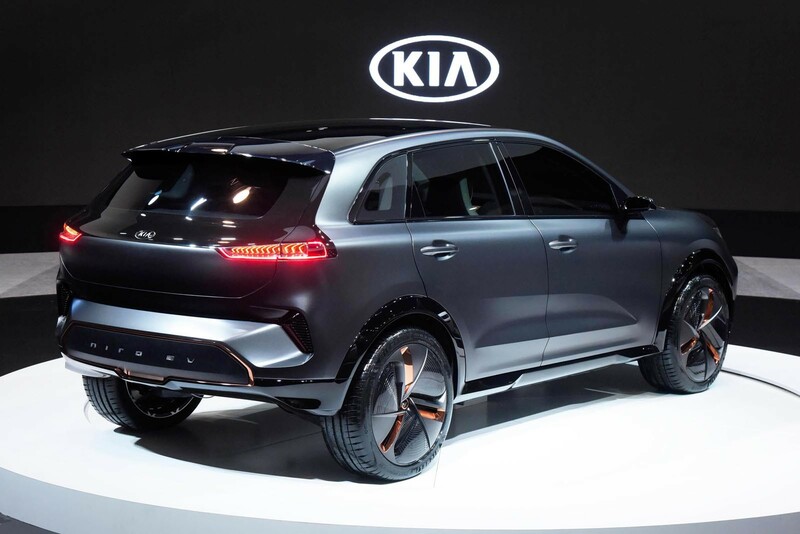 Along with its technology partner, Kia looks to be hedging its bets with a variety of hybrids, full EVs and hydrogen fuel cell vehicles to meet emissions and fuel economy requirements in various markets.